Writing in the GIBS (Gordon Institute of Business Science) magazine Acumen, entrepreneur and leader Adrian Gore * makes an important point. “Most things are incredibly skewed in their distribution and follow the Pareto principle, the 80/20 rule”. We’ve been led to believe that human beings are distributed according to a bell curve, or Normal distribution. True, height is a bell curve. But nothing else is. 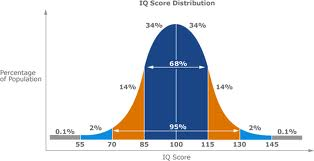 (IQ is a bell curve, only because that is how it is defined and measured). Nearly everything else is skewed – a “Pareto” distribution. 60% of Twitter messages come from just 2% of users. 20% of the world’s nations won 75% of the gold medals at the London Olympics. In business, 80% of revenue and profits come from 20% of products and services. In health care, the sickest 20% generate 79% of health care costs. And within this 20%, the sickest 20% generate 60% of total costs. What this means, says Gore, is this: To shift a bell curve is very very difficult. You have to shift the whole thing. 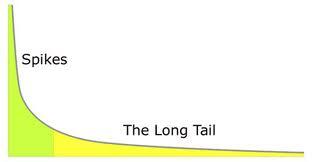 But to shift a ‘long tail’, in a Pareto world, “a shift of the tail drags the average with it and modifies the system.” And you can shift the tail with just a few remarkable creative individuals. This poses a huge challenge. To maintain social cohesion, fairness and justice, societies must treat everyone equally and must try to offer everyone equal opportunities. At the same time, society must try hard to identify truly gifted individuals and give them free scope to deploy their talents and pull us all toward that wonderful ‘long tail’. Gore notes that if Steve Jobs were South African and launched Apple in South Africa, he alone would have increased South Africa’s GDP by 20 per cent. And here is the key point: By trying very hard to give everyone equal opportunities, many gifted people whose gifts would otherwise remain unknown and undiscovered, will emerge to change the world. It takes an average of 250 tons of mined ore to produce one carat of finished diamond ! If we are willing to process so much ore for just one diamond, surely we can also find ways to discover the diamond minds among our disadvantaged children. I wonder how many such undiscovered gifted minds exist, among the South African miners who mine the ore to discover the diamonds – and how much more valuable those minds are than the diamonds they seek. * GIBS is Africa’s leading business school, located in Johannesburg. Acumen is its periodical. Adrian Gore is CEO of Discovery Holdings, which owns Discovery Health, a healthcare provider for 2.5 million South Africans. 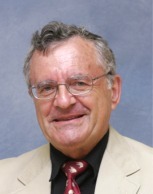 He pioneered the Vitality program, which rewards people for maintaining good health. The world is “Pareto”: 80% poor and 20% rich. It sounds like the middle class is disappearing. What should be the policies in the “Pareto” world? Policies: Use the ‘diamond mine’ approach, find the gifted, in the long tail, wherever they are, and give them the means to develop their potential. Too easier said than done! Who are the interest parties in this game? “Who are the interest(ed) parties” suggests a scepticism of motivation. Perhaps the question to ask is “Who could benefit?” and the answer to that is “You, I, and, going forward, the entirety of mankind. I think Pareto distribution is a human construct. The examples given (profit of items and cost of care) are only because human nature chooses so. This is also true for income, access to healthcare and justice. If you are on the “spike” (the “good side”), of course you want to bring over the best ones to your side of the fence. If you are on the “spike” you really don’t want to “shift the whole thing”. Nature is “Bell” , human beings are “Pareto”. I hate to break it to you, but the pareto principle and the bell curve basically show the same thing from a different perspective. A bell curve can show the distribution of earners per income, while the pareto power curve shows the distribution of total income generated per earners. This is because the x axes shows “income per person” for a bell curve, while x shows “total income” for pareto. Which is why you get the total income by multiplication in bell curve and addition in pareto. There are also two possible meaning: either the inequality is caused by the oppression of 80% of the people, or the virtue of the 20%. Of course the choice is mainly ideological here, both could be true, or neither (as in: performance is not a moral question). The real way to ensure the most amount of equality possible is what is has always been: prevent monopolization where it’s not needed to preserve market effectiveness.